All MX units ship from the factory in AP Mode. “AP” is short for Access Point. When in AP mode, MX looks a lot like a standard hotspot to your phone, tablet, or PC. This makes connecting to MX familiar and easy. Consult the Quick Start Guide included in MX’s packaging, or the online version for setup instructions. 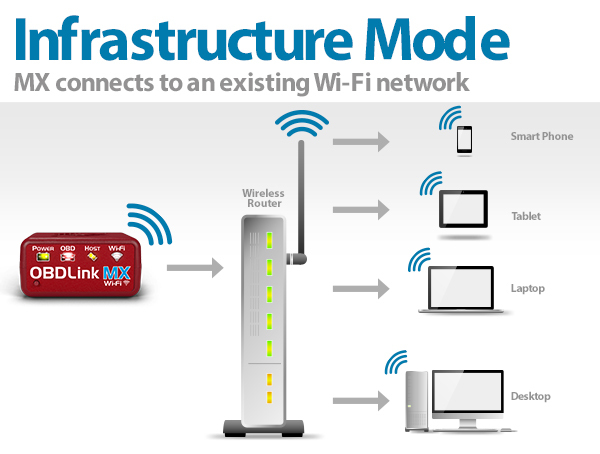 Unlike a standard hotspot, MX does not provide your device with access to the Internet. For iPhones and iPads with a cellular data plan, iOS will automatically divert Internet traffic over your Internet connection with no additional configuration needed. For Android devices with a cellular data plan, it is possible to “root” your device and configure it to divert Internet traffic over your cell connection, but this is not a simple task and may void your device’s warranty. We provide an alternate configuration that does not require rooting. It uses Android’s built in “Mobile HotSpot” function and MX’s Infrastructure Mode. 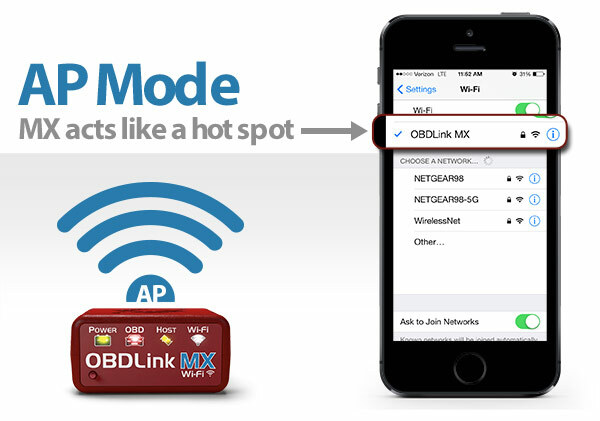 OBDLink MX Wi-Fi can be configured to connect to any existing Wi-Fi network using Infrastructure Mode. You can also use Infrastructure Mode to connect to an Android (or iOS) built-in Mobile HotSpot, which lets you simultaneously connect to your vehicle’s OBD network and the Internet. 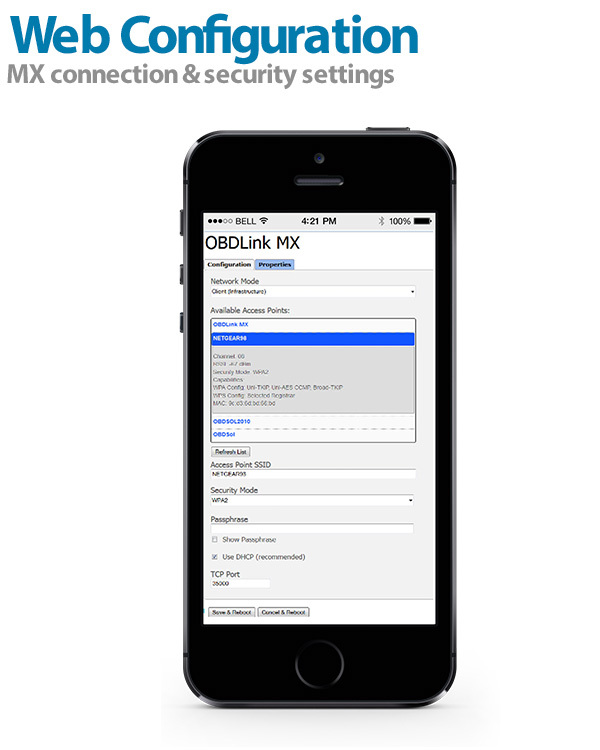 Web Configuration Mode allows you to change the network settings for OBDLink MX Wi-Fi. The settings can be viewed and altered using a web page that is built into MX, similar to a typical home Wi-Fi router. While in sleep mode, the ‘Power’ LED quickly flashes every 3 seconds.